As an attorney, I can tell a mile away when another attorney is a bad lawyer. Not knowing basic law taught in the first year in law school is a clear sign. Acting on that lack of knowledge to intimidate other people is the mark of a bully. 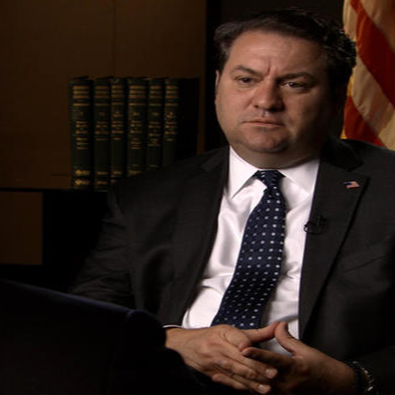 Arizona’s Attorney General Mark Brnovich is both ignorant and a bully, as demonstrated by his 20-page defamation lawsuit filed against the proponents of the Clean Energy for a Healthy Arizona initiative, Prop. 127. His lawsuit will be dismissed outright by the Superior Court in Maricopa County. Brnovich out to be designated as a vexatious litigant who is not allowed to file any more lawsuits or motions. In his whimpering complaint, Brno says he was wrongly linked to APS, a notorious utility that is the chief opponent of Prop. 127. However, APS did donate $425,000 to Brno’s last election campaign, as we reported on the Blog for Arizona. Brno added suspicious language to the Prop. 127 ballot description saying that, if approved, the measure would be “irrespective of cost to consumers.” This irrelevant language is clearly designed to cause doubt among voters. This is apparently payback for to APS for their earlier financial support, and could correctly be called corruption. Brno’s lawsuit says he hasn’t talked to APS lately (but he has 425,000 reasons to remember them). His lawsuit itself can also be seen as a payback to APS, a bullying effort to support his financial backer. For all non-lawyers: it is basic knowledge that a defamation claim by a public government official cannot succeed unless it meets the standards of New York Times v. Sullivan, a 1964 decision by the Supreme Court of the United States. In order to prove defamation, the unanimous Supreme Court said a “public official” had to show that the newspaper acted “with ‘actual malice’ – that is, with knowledge that it was false or with reckless disregard” for the truth. Ruling in favor of free expression and political discussion, the Court emphasized America’s “profound national commitment to the principle that debate on public issues should be uninhibited, robust, and wide-open.” The New York Times won that case and Brno should look it up at 376 US 254 (1964). In the 35 years since I began practicing law, I can’t recall a court ever finding that a public official was defamed, especially an official running in an election. Weakly, Bronvich’s lawsuit cites an irrelevant 1977 state law case and a legal encyclopedia. It’s as if he paid an unemployed law grad with a bottle of liquor to come up with something, anything. He has pursued a running vendetta against the Arizona Board of Regents, saying they are acting unconstitutionally. The courts threw the case out in April. This is what taxpayers hate: a government official suing another branch of the government. Brno filed suit against Obamacare, in an effort to take away health insurance for millions of Americans. He pursued a losing case to prevent DACA Dreamers from getting driver’s licenses. In a colossal waste of money, he lost in federal trial court, lost in the 9th Circuit and lost before the US Supreme Court. He signed a brief defending a cake shop in Colorado, which wouldn’t bake a cake for a gay couple. And he corruptly filed a lawsuit designed to intimidate the supporters of a ballot initiative as payback for huge earlier contributions by a corporation. Pick any reason. Vote him out.